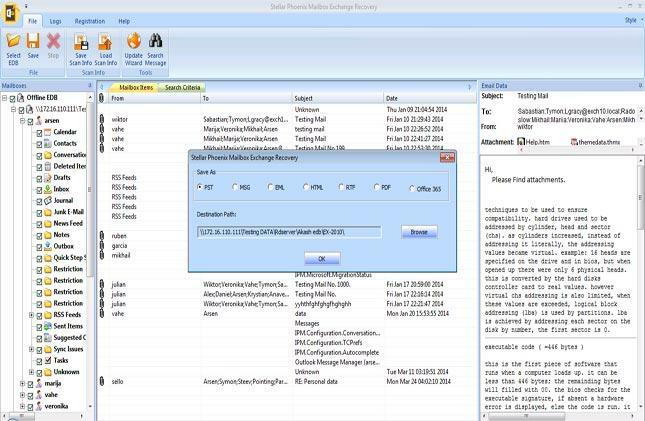 I am sharing the review of Stellar Phoenix Mailbox Exchange Recovery that is quite a useful software from Stellar Data Recovery – a leader and pioneer in data recovery, email migration, and data erasure. As a technical consultant for small and medium sized businesses who suggest appropriate software for IT management and data safety to be employed in the organizations, I was asked to use the full version of the software. With this, the aim of the software provider was that I evaluate the software and recommend it to organizations using Exchange Server for data storage, in the situation of corrupt EDB file and other issues in Exchange. 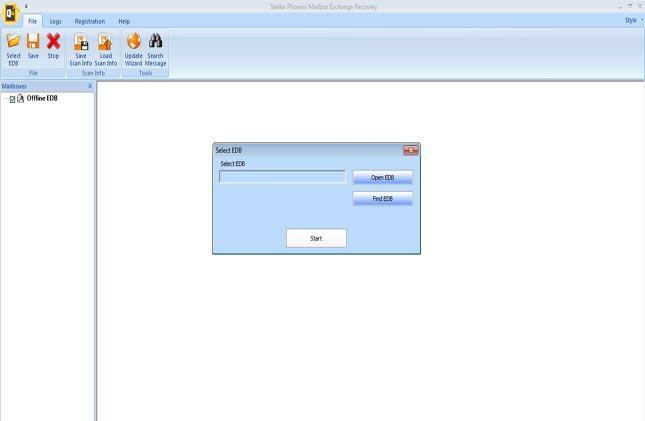 I was more than happy and keen enough to use the software and check its proficiency in resolving Exchange Server issues. I was too eager to use it because I had a heard a lot about its features and functionality. 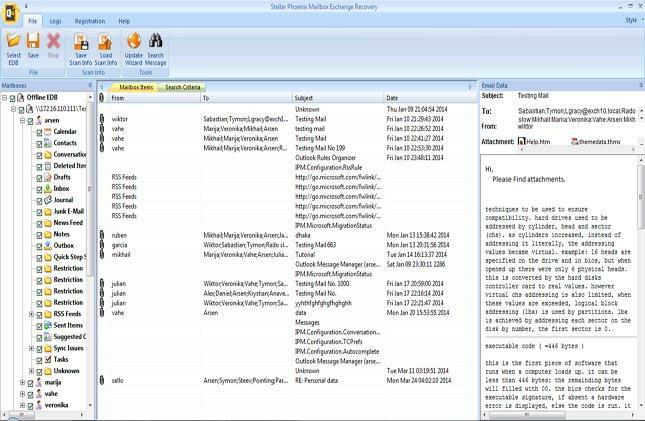 Well, the software that I was handed over for analysis or examination was Stellar Phoenix Mailbox Exchange Recovery version 8.0 that is basically designed for the repair of corrupt or damaged Exchange Server Database EDB files. The software is also known to restore users’ mailboxes in case the database files become corrupt or damaged. Besides, it is known for fixing any level of corruption issue or any error in the EDB file and restoring mailbox contents, such as emails, attachments, contacts, calendars, tasks, etc. Further, it offers Unicode support which implies that it can repair EDB files of multiple languages in their own language. Also, it is said to be compatible with MS Exchange Server 2016, 2013, 2010, 2007, 2003, 2000, and 5.5 versions without if’s and but’s. Well, the outer packaging of the software is displayed here! Well, it took approximately 30 seconds for the software to download and install successfully. Restores all data such as emails, their attachments, calendar, contacts, etc. I found that the software contained several Menus and Buttons to allow users to access the software easily. You can see in Figure 1 that on the Select EDB dialog box, the software provided two options: Open EDB and Find EDB– to begin the repair process. Open EDB – This option is provided to browse and locate the location of the corrupt EDB file on the system. Find EDB – This option is provided to search and find the corrupt EDB files if the user is not aware if the location of the EDB file on the system. As I knew the location of the EDB file, I selected the same with Open EDB option. In the same interface a Start button was given. I clicked on it after which the software took me to a screen to select a Scan option from Quick Scan and Extensive Scan. Quick Scan – This is a fast scanning mode which is effective in scanning most cases of corruption of EDB file. Extensive Scan – This is a detailed scan mode and is a bit slow in comparison to Quick Scan. However, it is recommended for better results. Here, I was given the option to save in multiple file formats, such as Outlook PST, MSG, PDF, EML, RTF, HTML, and Office 365. Nonetheless, I saved in PST file format. Well, with this I completed the process to repair the corrupt EDB file and recovered all its data items present in the user mailboxes! Its corporate edition has a limitation that it is valid for 1 year only. To overcome this limitation, you can use the Technician edition of the software. The reason being, it has an unlimited validity. 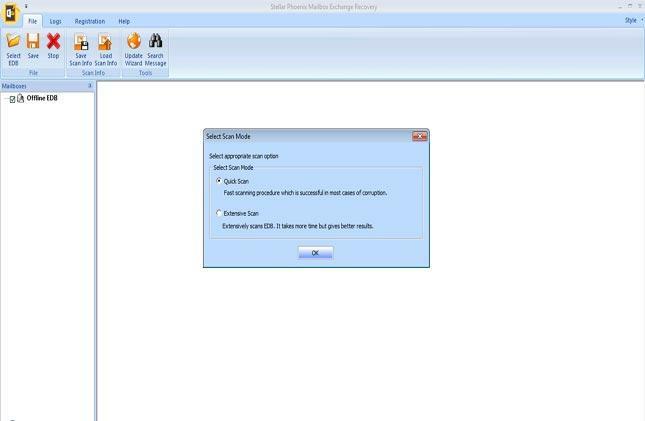 What I found on using Stellar Phoenix Mailbox Exchange Recovery 8.0 software that it is a must-have for all Exchange Administrators who face Exchange Server issues and have to recover data successfully without loss. Being feature-rich, it is a perfect software for IT administrators in organizations using Exchange as the server environment. The feature that I like the most about the software is that it can export recovered mailboxes to Office 365 environment. This is because, restoring mailboxes is a highly beneficial feature and makes the software stand apart from other similar software. Well, I rate it 9 on a scale of 10! The expert holds a ‎master Degree in Computer Science with specialisation in Microsoft products like Exchange Server, Outlook, etc. He enjoys writing technical guides to help Outlook and Exchange users.